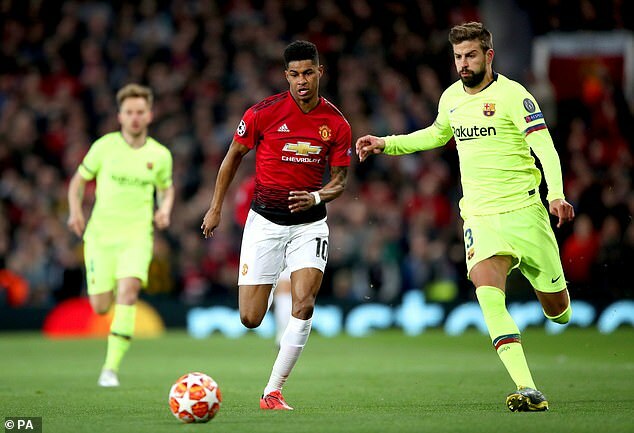 They know a thing or two about midfielders in Barcelona and from the land of Xavi, Andres Iniesta and Sergio Busquets, there was plenty of praise for Scott McTominay on Thursday morning as they looked forward to next week’s second leg with respectful confidence. The less glowing reviews were saved for Paul Pogba with a sarcastic: ‘Where was Pogba’ headline used in Diario Sport. 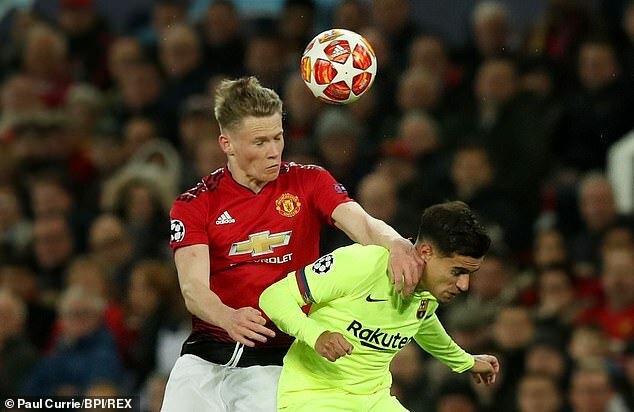 The 22-year-old McTominay was given the best outfield player rating by Marca and El Mundo Deportivo picked him out as the ‘best’ United player on the pitch. ‘His youth did not stop him dictating play and playing with authority and character,’ it said. Marca praised his physical presence in a United midfield that at times bullied Sergio Busquets, Ivan Rakitic and Arthur. 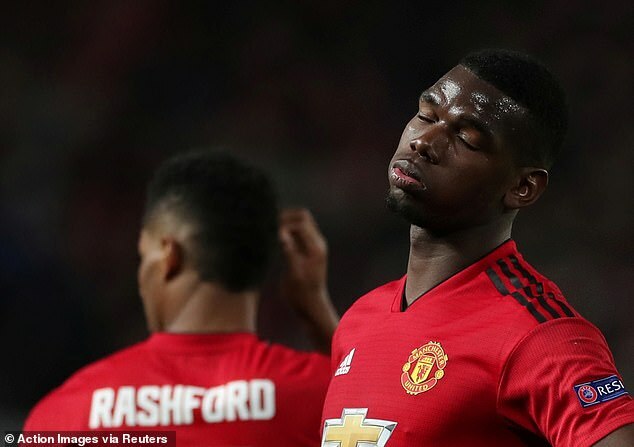 If McTominay impressed Pogba did his standing in the Spanish capital little good with what Marca described as a ‘discreet’ performance. He gave the ball away 10 times, only won it back once and while it will not change Zinedine Zidane’s desire to bring him to Real Madrid next season, it is unlikely to provoke the sort of public clamour that president Florentino Perez might listen to. He still has a second leg to make his mark and he remains a player of interest as far as Real Madrid are concerned. The player of interest for Barcelona is Marcus Rashford. 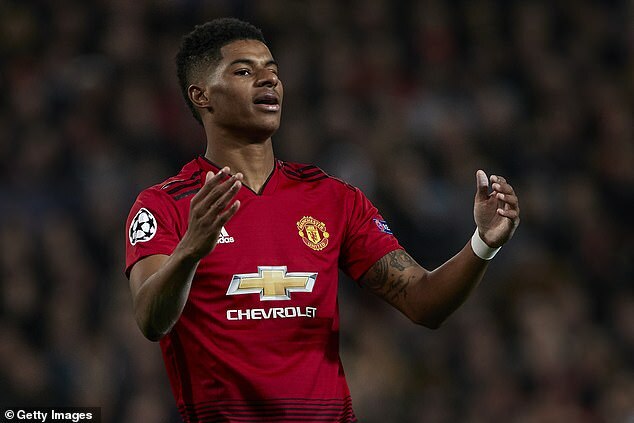 Supporters know it’s a signing the club cannot make because of his commitment to Manchester United but they saw enough of him on Wednesday night to know that he would fit into their team’s style and that he will be a danger in the second leg. It wasn’t all praise for United. 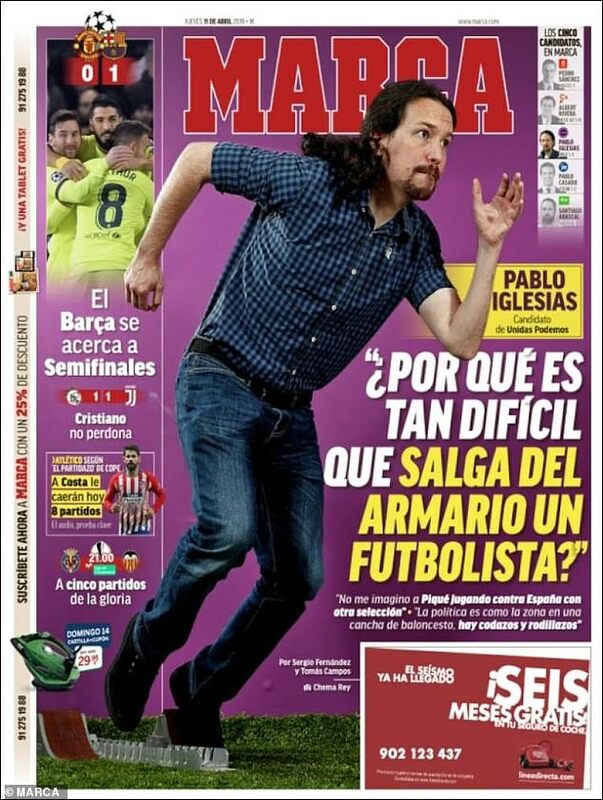 Marca columnist David Sanchez said they have still ‘have the big name but little football behind it’. Marca also pointed out that the home side had not managed a shot on target in the 90 minutes. 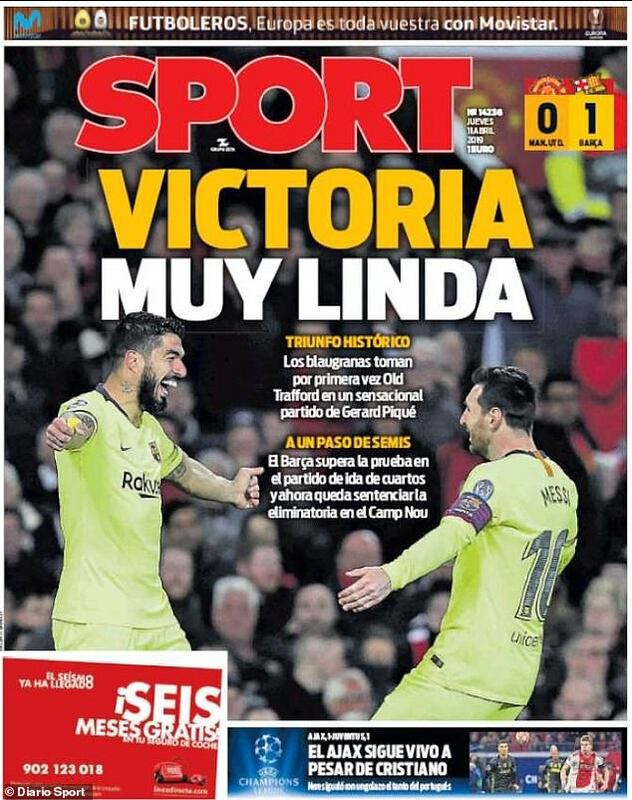 And after picking up their first ever victory at Old Trafford, the five-times Champions League winners now believe they have a foot in the semi-finals. In eight out of nine historical precedents – 1-0 away wins in the first leg of a European knockout competition – they have only slipped up once. Cologne beat them in the UEFA Cup in 1981 with a 4-0 second leg hammering after losing the first match 1-0. One added factor that will give Barcelona supporters even more belief going into the second leg is the that fact that both Lionel Messi and Luis Suarez could now have six days off. Suarez will definitely rest this weekend because he is suspended. And with Barcelona away to bottom club Huesca and Lionel Messi nursing bruised nose, he could also be given time off to prepare for the second leg. 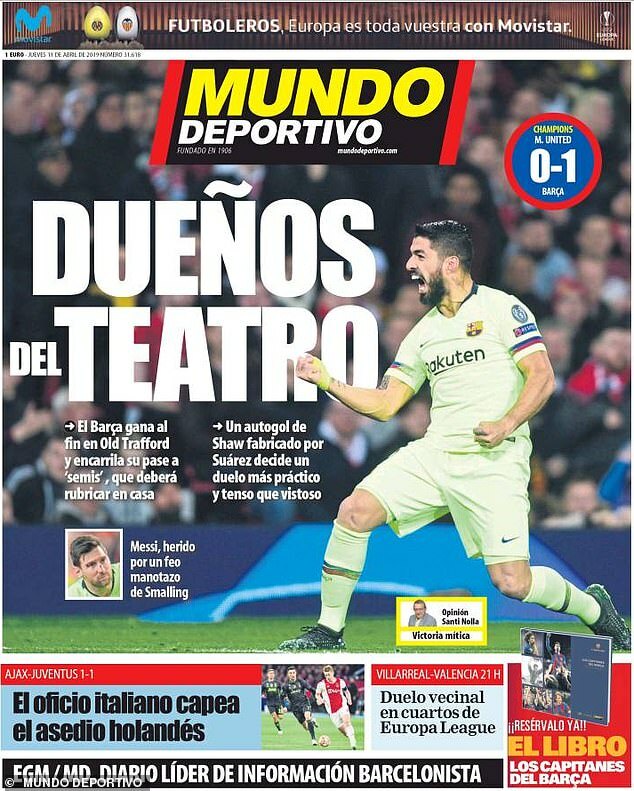 Looking ahead to the second legs next week, Diario AS had little doubt how both Juventus and Barcelona games might go. It headlined: ‘Messi and Ronaldo on their way to the semi-finals’.